Plenary Speakers "in order of appearance"
Licentiate of Philosophy Aulikki Alanen is working as senior environmental adviser in the Finnish Ministry of the Environment. Prior to that she was leading the METSO Programme inventories and restoration work in protected areas of Southern Finland, as an area manager of nature conservation in the Natural Heritage Services of Metsähallitus. She is a vegetation ecologist by training and specialized in herb-rich forest research before starting her career in the Finnish nature conservancy. Alanen has worked for 30 years with national conservation tasks, such as protection programme for herb-rich forests, Red listing of species and habitats and scientific consultation on Natura 2000 network. She has led the nationwide inventories of herb-rich forests (1980’s), seminatural grasslands (1990’s), protected key habitats (late 1990’s) and mires (2013-2014). Her main current task is the compilation of a supplementary protection program for mires, as part of the general goal to improve the coherence and connectivity of the national network of protected areas. Alanen is also the Finnish representative in the Habitats Committee of the EU Commission and the Finnish Board member in the Biodiversity working group CAFF of the Arctic Council. 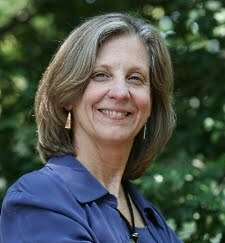 Margaret Palmer is a Professor at the University of Maryland and Director of the National Socio-Environmental Synthesis Center (www.SESYNC.org). Her research program (www.PalmerLab.umd.edu) is focused on watershed restoration ecology. Having worked on streams, rivers, and estuaries for 30 years and having led scientific projects at national and international levels, she has more than 150 scientific publications and multiple ongoing collaborative research grants. Dr. Palmer is also well known for her work at the interface of science and policy, having published in the journals Science, Nature, as well as, popular outlets. She has been an invited speaker in numerous and diverse settings including international ecological science conferences, environmental ethics symposia, restoration ecology workshops, a science-diplomacy trip to North Korea focused on restoration, and an appearance on the Steven Colbert show to discuss scientific work on mountaintop mining. Dr. Palmer has been honored as a AAAS Fellow, an Aldo Leopold Leadership Fellow, a Lilly Fellow, an elected fellow of the Ecological Society of America , and a University System of Maryland Board of Regent's Faculty Award of Excellence. 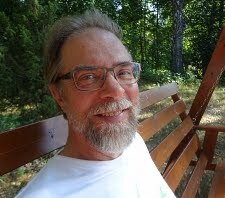 Ilkka Hanski is professor of ecology in the University of Helsinki since 1993, research professor since 1996 and the Director of the Metapopulation Research Group since 1991. He has DPhil in Zoology from the University of Oxford (1979). Hanski established the new field of metapopulation biology with a series of papers, books and edited volumes in the late 1980s and the early 1990s. Metapopulation biology is concerned with the biology of spatially structured populations, including the ecological, genetic and evolutionary consequences of natural and anthropogenic loss and fragmentation of habitats. Hanski is the elected member of many science academies, including the Royal Society and the National Academy of Sciences. He has served in various scientific advisory bodies and agencies, including the European Research Council (Chair of the Ecology and Evolutionary Biology panel for Starting Grants and an ERC Synergy panel), the European Academies Science Advisory Council working group on biodiversity, the Advisory Board of the UK Population Biology Network, and the SAB of the National Center for Ecological Analysis and Synthesis in Santa Barbara, US. He has received numerous prizes and awards, including The Crafoord Prize, the Latsis Prize and the Balzan Prize. 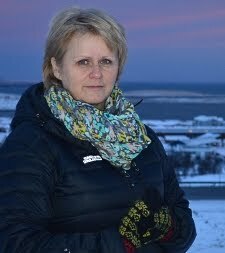 Dr. Ása L. Aradóttir is a professor at the Faculty of Environmental Sciences of the Agricultural University of Iceland (AUI). Prior to joining the AUI, she headed the research division of the Icelandic Soil Conservation Service for eight years. She did her graduate training in the USA and received a PhD from Texas A&M University in 1991. Ása has focused on ecological restoration in Iceland, which is one of the most severely degraded geographic areas in Europe. Her research deals with the restoration of severely degraded land, effects of restoration interventions on ecological succession and ecosystem services, soil conservation and sustainable land-use. She has also participated in the implementation and evaluation of some large-scale restoration projects and contributed to policy making regarding soil conservation. Ása is a member of the advisory board and a lecturer for the United Nations University Land Restoration Training Programme (UNU-LRT), a postgraduate training for specialists from the developing countries in restoration of degraded land and sustainable land management. At the AUI, she has developed an undergraduate program in Restoration Ecology and supervises a number of graduate students. 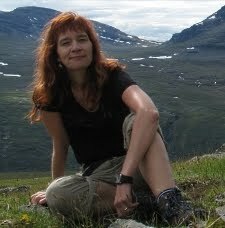 She has been active in a number of national and international collaborative projects, including the Nordic projects ReNo (Restoration of damaged Ecosystems in the Nordic countries) and EvRest (Evaluation of Ecological Restoration in the North). 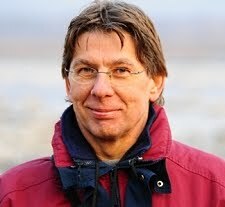 He is a member of the Editorial Board of several Journals, including “Conservation Letters” and “Regional Environmental Change” and Editor-in-Chief of the International Journal on “Biodiversity Science, Ecosystem Services and Management” and co-founder and Topic Editor of the new Elsevier Journal “Ecosystem Services: Science, Policy & Practice”. He is Special Advisor on Ecosystem Services of the IUCN Commission on Ecosystem Management (CEM), member of the UNEP International Resource Panel and Chair of the Ecosystem Services Partnership (www.es-partnership.org), a worldwide network to enhance the science and practical application of ecosystem services assessment. 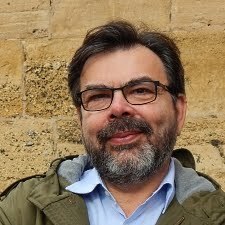 Prof. Dr. Gilberto Câmara (born 1956) is a researcher on Geoinformatics at Brazil's National Institute for Space Research (INPE). He is internationally recognized for promoting free access for geospatial data and for setting up an efficient satellite monitoring of the Brazilian Amazon rainforest. He served as INPE’s Assistant Director for Earth Observation from October 2001 to December 2005 and INPE’s director general from December 2005 to May 2012. He is the currently Brazil Chair at the University of Münster in Germany (2013-2015). Gilberto is very active on the global effort for making Earth Observation data openly accessible. Under his guidance, INPE’s team achieved big advances in land change monitoring using remote sensing images, leading to a major decrease in the deforestation in Amazonia. The leading scientific journal Nature called this reduction to be "the biggest environmental success story in decades". Gilberto has advised 23 PhD dissertations and 25 Master thesis and published more than 150 scholarly papers that have been cited more than 5700 times. He received a Doctor honoris causa from the University of Münster (Germany) and is a Chevalier (Knight) of the Ordre National du Mérite of France. He is also a member of the Scientific Advisory Board of Creative Commons. He received the Global Citizen Award of the Global Spatial Data Infrastructure Association and the William T. Pecora Award from the United States Geological Survey and NASA for "leadership to the broad and open access to remote sensing data". Dr. Anne Tolvanen is a professor of forest ecology at the Finnish Forest Research Institute (Metla) and Thule Institute, University of Oulu. Her early research focused on the plant population ecology and regeneration dynamics in boreal, subarctic and high arctic ecosystems in Finland and Canada. She thereafter started projects on ecological impacts of nature tourism, from where she continued to restoration and land use research. Her present research is interdisciplinary and focuses on three major global problems; land use pressure, degradation of biodiversity, and changing climate. She leads a 5-year research programme “Forests for multiple purposes” in Metla. The programme contains more than 20 research projects aiming to fit together various and increasing needs on forest and peatland ecosystems in Finland. She also runs two EU funded projects “Quantification and valuation of ecosystem services to optimize the re-use of low-productive peatlands (LIFEPeatLandUse) and “Socio-ecological tools for the planning of tourist destinations”. 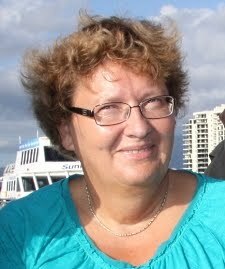 She is active in international and national scientific restoration networks such as SER Europe Board, the Nordic-based project Evaluation of Ecological Restoration in the North (EvRest), and the Finnish Board of Ecological Restoration (FBER). She also participates in various societal development programmes, and results from her research have become concrete for example in regional strategies and plans of her county and in the city plan of her home city Oulu.